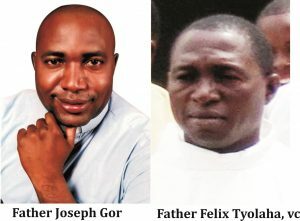 FULL TEXT Press Release Catholic Diocese of Makurdi: Fathers Joseph Gor and Felix Tyolaha have been confirmed dead in the deadly attack by herdsmen early today on Mbalom village of St. Ignatius Quasi Parish Ukpor-Mbalom. In their classic style they burn down homes, destroy food items and kill. The police seem to know nothing of the attacks which have been going on in other villages within Benue State since the Anti Open Grazing Law came into effect last year. Many people are asking why the International community has remained silent over the massacre of Benue citizens? The answer is simple: It has been the goal of the jihadists to conquer Benue and Tiv people who resisted their advance into the middle belt since 1804; the people who rejected Islam and fought for the unification of Nigeria in the civil war of 1967 – 1970. The people of the East therefore have little sympathy for Benue people and the Muslim North is enjoying a sweet revenge overshadowed by an insensitive regime. There were over 170.000 internally displaced persons before the Naka invasion and surely with the current situation in Mbalom Benue will be flooded with thousands more. What cannot be said at this point is the consequences of the death of missionaries in the silent killings that have been siloed by the government for over a year. The diocese has been active in providing relief materials including education and skills acquisition lessons. To go for the priests means total destruction of everything we stand for and believe in! Director of Communications Catholic Diocese of Makurdi.